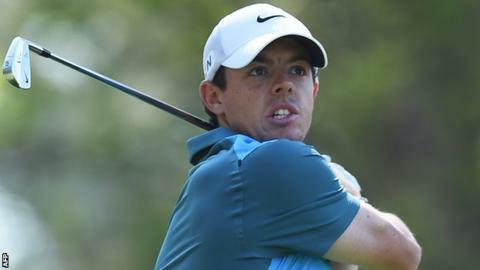 Rory McIlroy will have another crack at winning the European Tour's flagship event when he plays in the BMW PGA Championship at Wentworth next month. On Monday, the two-time major winner from Northern Ireland, now out of the world's top 10, confirmed his place in the 22-25 May tournament. McIlroy's slip to 11th in the rankings is a result of a disappointing 2013. However, the 24-year-old has had three top 10 finishes in his five European Tour appearances this year. McIlroy admitted he has struggled in his appearances at the tournament won last year by Matteo Manassero of Italy. "I have been a little hit and miss at Wentworth, but I think this year my game is in much better shape" said McIlroy, who won the US Open in 2011 and US PGA Championship in 2012. "Some of the greats of the game have won the title over the years and it would certainly be nice to join them on the Championship's 60th anniversary." McIlroy will join US Open Champion Justin Rose, Ryder Cup hero Ian Poulter, two-time runner-up Lee Westwood, Sergio Garcia and last year's Race to Dubai winner Henrik Stenson in a quality field at the Surrey course.